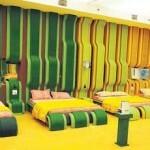 What a dhamaka opening night of Bigg Boss season 4, well it had to be because of host Salman khan. He never disappoint his fans, Bigg Boss team must be taping their back for having Salman on board. Paisa Vasool! He was fantastic with the contestants and for the audience sitting at home watching him on TV. 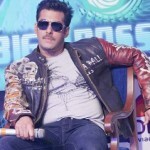 Salman will be interacting with all the house-mates and announce the week’s eviction on Friday. Every Saturday, he will lead an entertainment extravaganza with a wide range of exciting performances and a fun-interaction with that week’s evictee, kind of grilling. 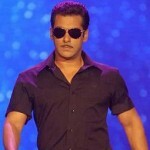 Salman said : “With me as the host, people can expect as much fun outside the house, as inside. That is a promise I make to them but for the contestants I have only one message…your actions will define your fate on the show (kar bhala, toh ho bhala)". Contestants were all fantastic and fully charged to enter the house. Rahul Bhatt was the only odd one who behaved and looked bit weird, his bulging biceps and begging for help to Abbas Kazmi for his passport was too much. He was looking more like a Bigg Boss bouncer than a contestant. Begum Nawazish was 100% true when she said we Asians love buy one get one free funda. Actually most of the Bigg boss contestants also looks like a B1G1 free offer. Twist: Surprise nomination was held on the very first day, but they didn’t know that it was for to select the Captain of House, which was revealed later on by the Bigg Boss. 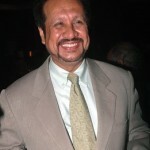 Devinder Singh got seven nominations and was the Captain of the House. No one can nominate him in next nomination for eviction. He can nominate person for eviction. Real Nominations for the eviction will be held tomorrow.